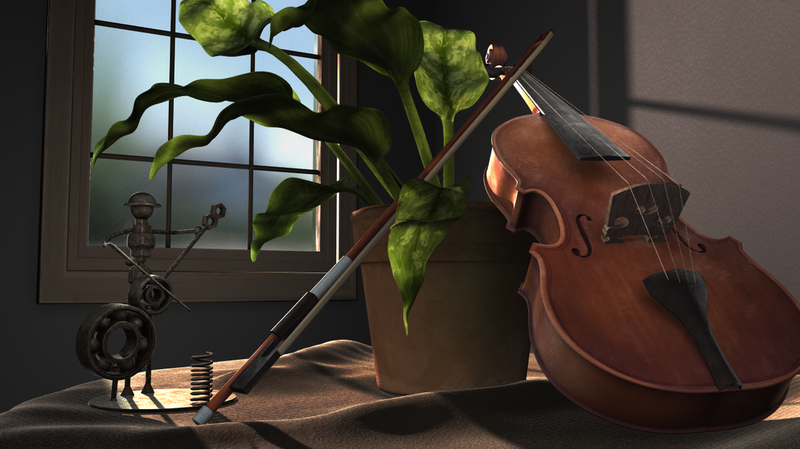 A still life created in study of composition, texture, lighting, and stringed instruments. Modeled, lit, and rendered in Maya. Texture maps created procedurally in Substance Designer.